Jay Hieron and Steve Carl will fill the final two spots of Bellator's 170-pound tournament and will face each other on March 5 at an event yet to be announced. 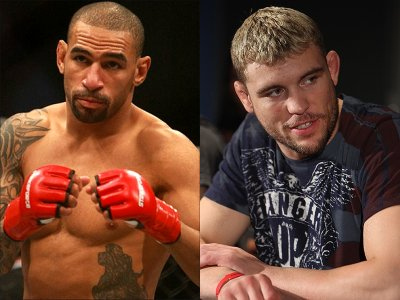 Jay Hieron and Steve Carl will meet in Bellator’s upcoming welterweight tournament on March 5. They will fill in the two final spots at the promotion’s 170-pound tournament. Bellator’s upcoming March 5 event will air on MTV2, but no further details were officially announced as of the moment. This upcoming bout will be Jay Hieron’s debut in Bellator, after more than 13 months in the sideline and two stints at Strikeforce. Steve Carl, on the other hand, is coming from a victory over Tyler Stinson last August via technical submission. More updates are sure to come, so keep it posted here on Fighting Insider. All contents copyright © 2010, FightingInsider.com. All rights reserved.